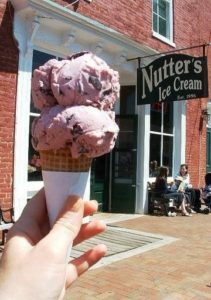 After the Antietam National Battlefield, the most visited place in Sharpsburg is Nutter’s Ice Cream. 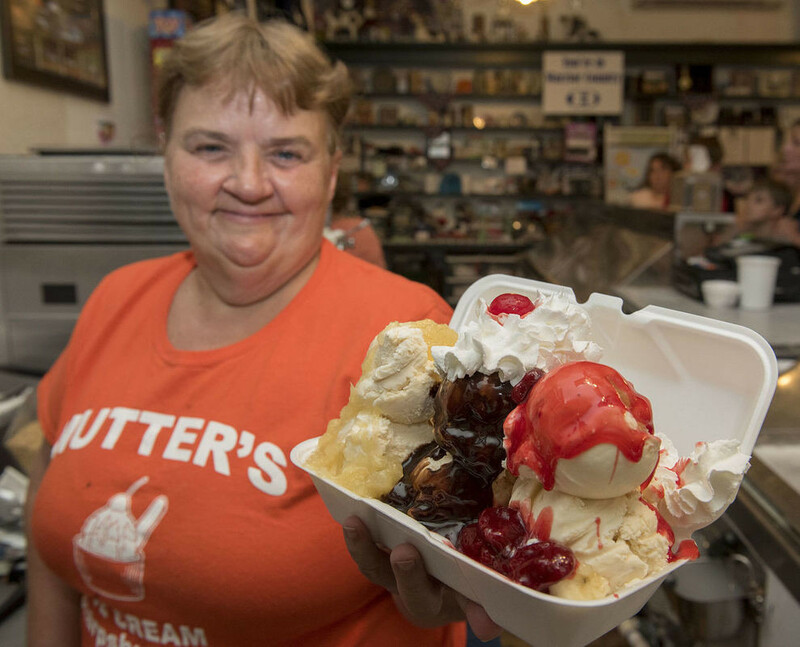 For over twenty years this iconic ice cream shop has served up scoops of delicious treats to locals, tourists, and our guests. 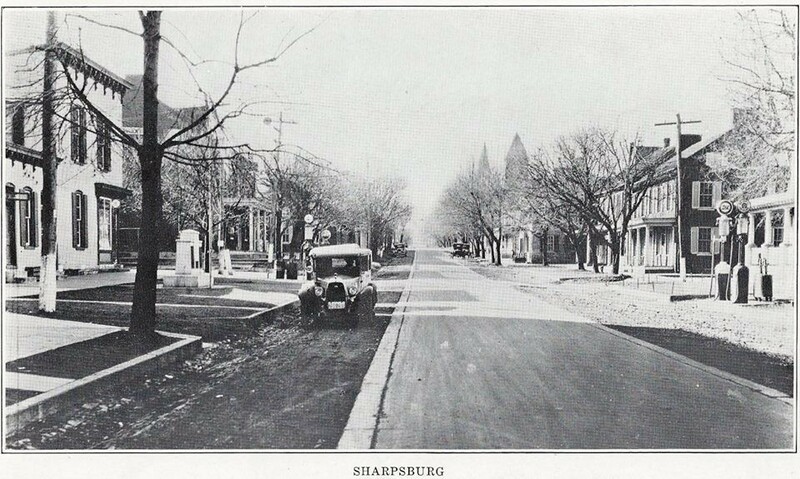 Every since Sharpsburg was founded in 1763, the Square has been a gathering place for residents and visitors. 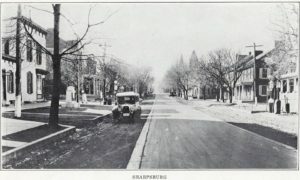 Over the years there have been hotels, stores and markets there. 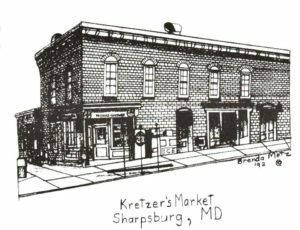 For many years Kretzer’s Market was the main attraction on the Square, not only providing all of the grocery needs for Sharpsburg residents but offering a variety of penny candy for children. 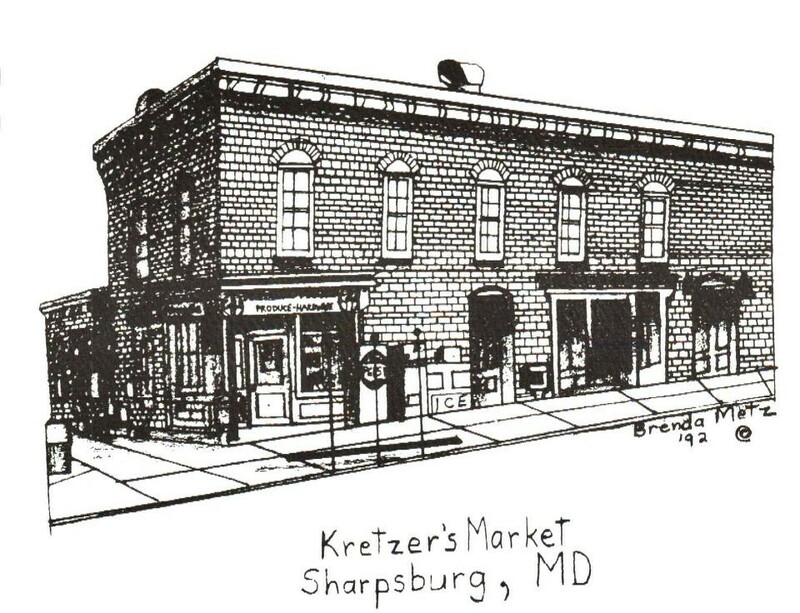 Shortly after Kretzer’s Market closed, a new shop opened to fill the void. On May 4, 1996 Deb Nutter’s dream of opening an ice cream shop came true. Keeping the appeal of the old grocery store, she turned the space into a vintage ice cream parlor. Since then, she has brought smiles to many faces, from Boy Scouts hiking the battlefield, Little League teammates celebrating after a game, or families looking for a treat; visitors and locals can’t say enough about Nutter’s. 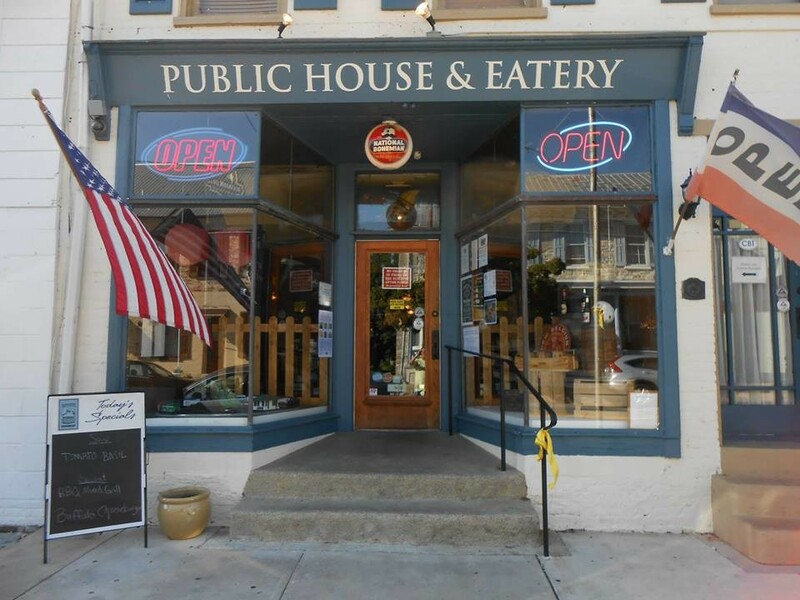 It’s no wonder that they consistently receive the Best Ice Cream Shop on the Hagerstown Magazine’s Hot List. The first thing you have to decide on is whether you want a cup or a cone? They have Sugar Cones and Traditional Cake Cones but Nutter’s recommends (and so do we) getting a cup so you can pile on the toppings like sprinkles, chocolate candies, or cookie crumbles. Next, what size do you want and do you want hand-dipped or soft served? This is where most first time visitors are just astounded. The hand-dipped scopes come in four sizes : kiddie-1 scoop, small- 2 scoops, medium- 3 scoops, large- 4 scoops. The kicker is each scoop is the size of a tennis ball! The smooth and creamy, soft-served ice cream comes in Vanilla, Chocolate or a Twist and is a similar amount to the scoops. If that’s not enough, each season brings special flavors like Apple Pie for fall, Peppermint Stick for winter and Orange Pineapple in the summertime. If you’re looking for something a little different than just an ice cream, Nutter’s can cover your craving. They have delicious milkshakes, delightful flurries, delectable sundaes, snowballs and lollipops (which is a combination of your favorite snow-balls and ice cream flavor – perfect for a summertime treat!). For those feeling adventurous, or sharing with several friends, than you’ll want to get a Nutter’s Banana Split. You get your choice of 3 flavors! Each flavor is a scoop and a half. 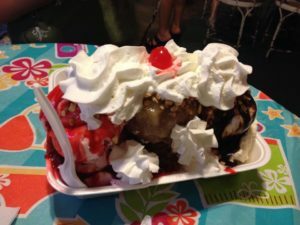 Then choose 3 toppings; top it with whipped cream, chopped peanuts and a cherry for each mountain of ice cream. 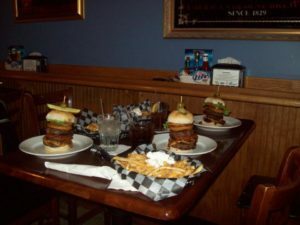 The BEST thing about Nutter’s is they are open EVERYDAY! You can stop in to get your favorite treat from 1 pm until to 9 pm. Remember CASH ONLY and start out small!! Even Maya & Zoey love Nutters!